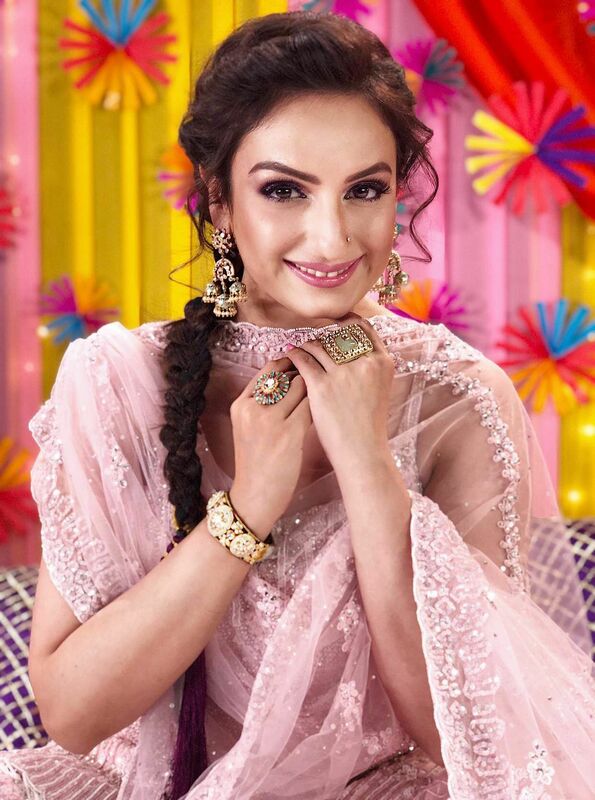 Singer Akriti Kakar popular for her Bollywood numbers Saturday Saturday from Humpty Sharma Ki Dulhania and Iski Uski from 2 States, has come up with her own version of Punjabi folk song Chitta Kukkad Baghe Vich. The song, released on Kakar's YouTube channel on April 2, has already garnered over a lakh view. Interestingly, the composition of Chitta Kukkad has been the inspiration behind the chartbuster song Lamberghini by The Doorbeen. Chitta Kukkad is a hugely popular Punjabi folk song that strikes a chord with listeners of all ages. “Akriti has always chosen songs which her fans want her to sing, her strong subscriber base on her channel is a testimony to that and with Chitta Kukkad which is a cult folk song, she plans to give her listeners another musical treat by connecting with her roots and her Punjabi upbringing,” feels one source close to Kakar. Besides singing, Kakar also features in the video, “The feel is very vintage and has a fun feel to it. Akriti has donned a traditional outfit adorned with accessories to complete the look.” Concludes the source. Apart from having an impressive discography of film songs, Akriti, who has also judged several music reality shows, boasts of an enviable following on her YouTube channel as well. Her latest song is Jobless from the movie Milan Talkies is also doing well in charts. She has composed and sung the song with Sukriti and Prakriti.